Exciting news from the Danish Farr40 scene – some might even say a sweet delight. 12 girls have decided to challenge the men in the field with their launch of Team Maltesers – an all female race crew. Supported by The Royal Danish Yachtclub and Maltesers, whose chocolate offers almost as sweet a treat as 12 girls on a Farr40, the girls have set out to prove that women can also participate, learn and advance in the challenging class. With their first regatta in hometown Copenhagen, Denmark on the 9th of May the girls were first over the finishing line and are looking forward to sail against a fleet of 49 all male crews at the Danish Big Boat Challenge 2010 from the 21st – 23rd of May. The female Farr40 is formed of girls with backgrounds within match race, fleet race, the RNZYS youth training program and dinghy sailing. “We believe that passion and determination will get you a long way and nobody can tell us it can’t be done – you have to try to know for certain” one of the girls reflects. It is time for a different approach to sailing in Denmark and Team Maltesers’ main goal is to tell a different story from a world largely dominated by men. Sailing is something shared across age, gender and ambition and that should always be remembered – it differentiates our sport on a worldwide scale. Once a sailor always a sailor! 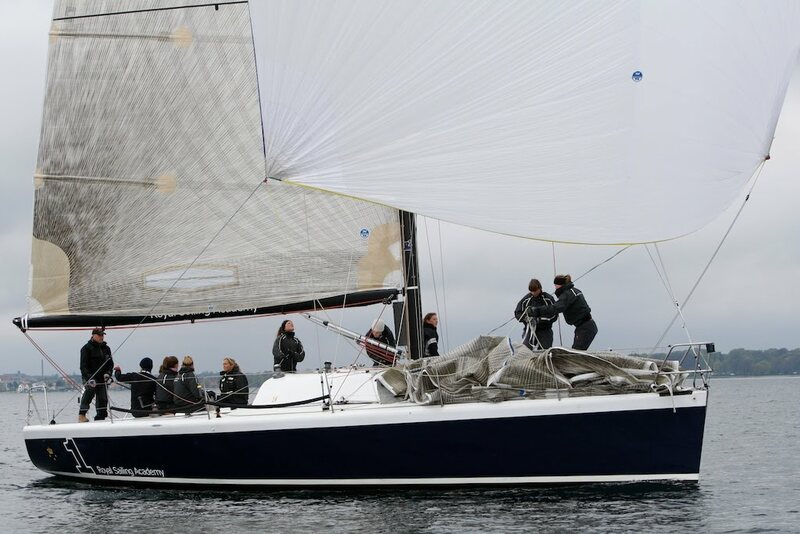 The Farr40 class has so far been known in Denmark for the Danish Crown prince and his involvement both in domestic and international regattas.